... to House of Malfoy: The Malfoy Manor fanlisting. Are you a fan? 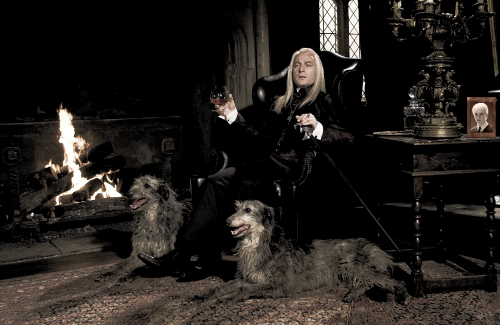 Do you like or love Draco Malfoy, Lucius Malfoy, Narcissa Malfoy, their home, or anything about the Malfoys? Then add your name to the listing! Posted by Melissa on June 30th, 2004 @ 03:08 p.m. This is a fan effort. The characters and stories belong to J.K. Rowling. I am not associated with anyone related to the Harry Potter series and this website is purely a fansite that brings the fans together.